Professor Molly Verrier trained as a physical and occupational therapist at the University of Toronto. Following graduation she practiced neurological physical therapy at the Toronto Western Hospital. Upon graduation from her graduate studies in Clinical Neurophysiology and Health Science at McMaster University, she joined the physical therapy teaching faculty at the University of Toronto and was the Lead of the U of T Human Neuromotor Control Laboratory at the Playfair Neuroscience Unit situated at TWH. Between 1988 and 1994 she was the Director of the then Division of Physical Therapy in the Department of Rehabilitation Medicine. Prof. Verrier became the Chair of the first Department of Physical and the Graduate Department of Rehabilitation Science at the University of Toronto in 1994 and over the next decade, along with a group of talented PT faculty, implemented a BSc PT Evidence Based Curriculum, a Professional Master's Program in Physical Therapy, and MSc and PhD Program in Rehabilitation Science. 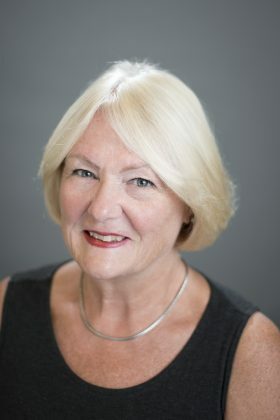 Currently, Prof. Verrier is an Adjunct Senior Scientist at the Toronto Rehabilitation Institute where she supervises physical therapy PhD students and is a member of the Board of Directors at West Park Healthcare Centre. Milosevic M, Masani K, Kuipers MJ, Rahouni H, Verrier MC, McConville KM, Popovic MR. Trunk control impairment is responsible for postural instability during quiet sitting in individuals with cervical spinal cord injury. Clin Biomech (Bristol, Avon). 2015 Jun 30(5):507-12. doi: 10.1016/j.clinbiomech.2015.03.002. Epub 2015 Mar 14. Wissel J, Verrier M, Simpson DM, Charles D, Guinto P, Papapetropoulos S, Sunnerhagen KS. Post-stroke spasticity: predictors of early development and considerations for therapeutic intervention. PM R. 2015 Jan 7(1):60-7. doi: 10.1016/j.pmrj.2014.08.946. Epub 2014 Aug 27. Marinho-Buzelli AR, Bonnyman AM, Verrier MC. The effects of aquatic therapy on mobility of individuals with neurological diseases: A systematic review. Clin Rehabil. 2014 Nov 13. pii: 0269215514556297. [Epub ahead of print] Review. Jaglal SB, Guilcher SJ, Bereket T, Kwan M, Munce S, Conklin J, Versnel J, Packer T, Verrier M, Marras C, Pitzul KB, Riopelle R. Development of a Chronic Care Model for Neurological Conditions (CCM-NC). BMC Health Serv Res. 2014 Sep 19 14:409. doi: 10.1186/1472-6963-14-409. Gabison S, Verrier MC, Nadeau S, Gagnon DH, Roy A, Flett HM. Trunk strength and function using the multidirectional reach distance in individuals with non-traumatic spinal cord injury. J Spinal Cord Med. 2014 Sep; 37(5):537-47. doi: 10.1179/2045772314Y.0000000246. Kalsi-Ryan S, Beaton D, Curt A, Popovic MR, Verrier MC, Fehlings MG. Outcome of the upper limb in cervical spinal cord injury: Profiles of recovery and insights for clinical studies. J Spinal Cord Med. 2014 Sep; 37(5):503-10. doi: 10.1179/2045772314Y.0000000252. Craven BC, Balioussis C, Hitzig SL, Moore C, Verrier MC, Giangregorio LM, Popovic MR. Use of screening to recruitment ratios as a tool for planning and implementing spinal cord injury rehabilitation research. Spinal Cord. 2014 Oct 52(10):764-8. doi: 10.1038/sc.2014.126. Epub 2014 Aug 19. Schleifer Taylor J, Verrier MC, Landry MD. What Do We Know about Knowledge Brokers in Paediatric Rehabilitation? A Systematic Search and Narrative Summary. Physiother Can. 2014 Spring;66(2):143-52. doi: 10.3138/ptc.2012-71. Desveaux L, Verrier MC. Physical Therapists' Perceptions of Leadership across the Health Care Continuum: A Brief Report. Physiother Can. 2014 Spring 66(2):119-23. doi: 10.3138/ptc.2013-02. Munce S, Wodchis WP, Guilcher SJ, Couris CM, Verrier M, Fung K, Craven BC, Jaglal SB. Direct costs of adult traumatic spinal cord injury in Ontario. Spinal Cord 2013; 51(1):64-9. Kalsi-Ryan S, Beaton D, Curt A, Duff S, Popovic MR, Rudhe C, Fehlings MG, Verrier MC. Defining the Role of Sensation, Strength and Prehension on Upper Limb Function in Cervical Spinal Cord Injury (SCI). Neuororehabilitation and Neural Repair, accepted NNR-11-1411.R1. Desveaux L, Nanavaty G, Ryan J, Howell P, Sunder R, Macdonald AA, Schleifer Taylor J, Verrier M.C. (2012). Exploring the concept of leadership from the perspective of physical therapists in Canada. Physiotherapy Canada 64 (4) 367-375. Craven BC, Balioussis C, Verrier MC, Hsieh JT, Cherban EM, Rasheed A, Noonan V, Wolfe D. Using scope review methods to describe current capacity and prescribe change in Canadian SCI rehabilitation service delivery. The Journal of Spinal Cord Medicine 2012; 35(5):392-399. Kalsi-Ryan S, Beaton D, Curt A, Duff S, Popovic MR, Rudhe C, Fehlings MF, Verrier MC. The Graded Redefined Assessment of Strength Sensibility and Prehension (GRASSP) – reliability and validity. Journal of Neurotrauma 29(5):905-914. Kapadia N, Zivanovic V, Verrier M, Popovic MR (2012). Toronto Rehabilitation Institute’s hand function test: assessment of gross motor function. Topics in Spinal cord Injury Rehabilitation 2012; 18(2):167-186. Wilson JR, Singh A, Craven C, Verrier MC, Drew B, Ahn H, Ford M, Fehlings MG. Early versus late surgery for traumatic spinal cord injury: the results of a prospective Canadian cohort study. Spinal Cord 2012; 50(11):840-3. Marinho AR, Flett HM, Craven C, Ottensmeyer CA, Parsons D, Verrier MC. Walking-related outcomes for individuals with traumatic and non-traumatic spinal cord injury inform physical therapy practice. The Journal of Spinal Cord Medicine 2012; 35(5):371-381. Landry MD, Hastie R, Onate K, Gamble B, Deber RB, Verrier MC. Attractiveness of Employment Sectors for Physical Therapists in Ontario, Canada (1999-2007): Implication for Long Term Care Sector. BMC Health Services Research 2012; 12(1):133. Populations of interest include stroke, traumatic brain and spinal cord injury.